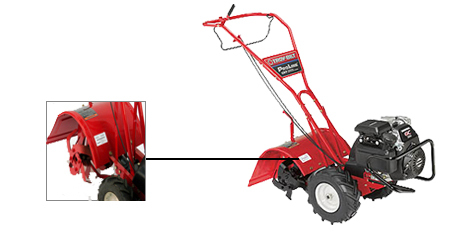 The model and serial number for Troy-Bilt power equipment is located on a sticker similar to the one in the image to the right. 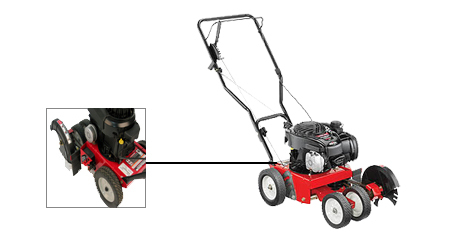 The model and serial number sticker on a Troy-Bilt walk-behind mower is located at the back left of the deck. Look up your Troy-Bilt lawn mower parts. 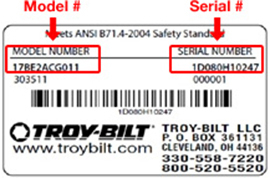 The model and serial number sticker on a Troy-Bilt riding mower is located underneath the operator seat. Look up your Troy-Bilt riding mower parts. The model and serial number sticker on a Troy-Bilt Chipper/Shredder is located on the frame of the equipment below the chute. Look up your Troy-Bilt chipper/shreadder parts. The model and serial number sticker on a Troy-Bilt Chipper/Shredder Vacuum is located on the rear frame of the equipment. Look up your Troy-Bilt chipper vacuum parts. The model and serial number sticker on a Troy-Bilt Single-Stage Snow Blower is located on the frame, near the belt cover. 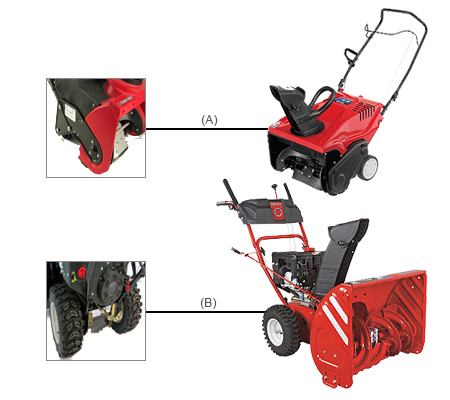 The model and serial number sticker on a Troy-Bilt Two-Stage Snow Blower is located on the back of the frame between the wheels. Look up your Troy-Bilt snow blower parts. The model and serial number sticker on a Troy-Bilt Edger is located on the rear frame of the unit, near the handle bars. 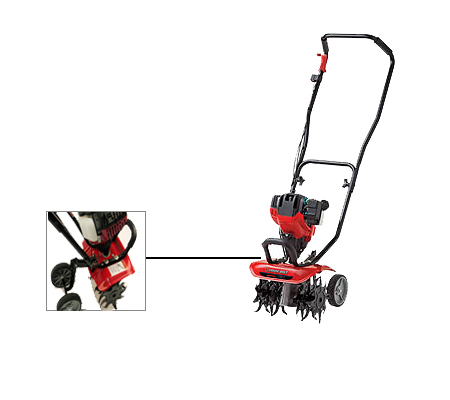 Look up your Troy-Bilt edger parts. The model and serial number sticker on a Troy-Bilt Cultivator is located on the engine housing. 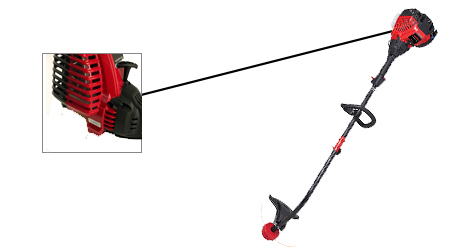 The model and serial number sticker on a Troy-Bilt String Trimmer is located on the starter housing. Look up your Troy-Bilt trimmer parts. 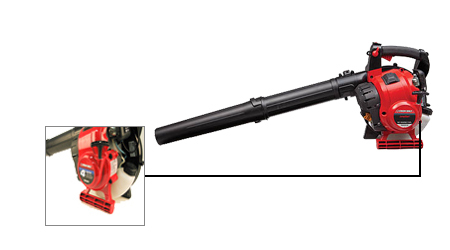 The model and serial number sticker on a Troy-Bilt leaf blower is located on or around the starter recoil assembly. 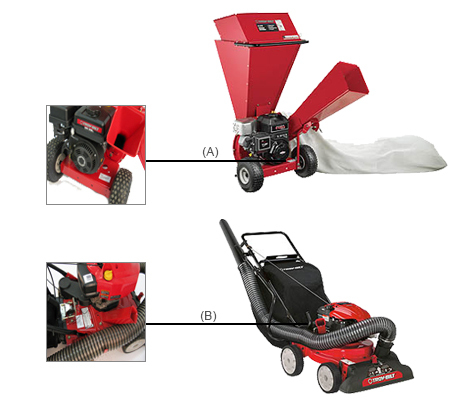 Look up your Troy-Bilt leaf blower parts. The model and serial number sticker on a Troy-Bilt Tiller is located on the tine housing. Look up your Troy-Bilt tiller parts.